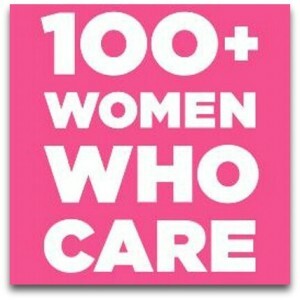 What is the history of 100+ Women Who Care? The first 100+ Women Who Care organization was founded by Karen Dunigan in her community of Jackson, Michigan back in 2006. Originally looking to be a group of 100 women pooling their money with $100 checks four times a year to make an impact in their region, they began with 100 plus members and have grown to nearly 300 members! Their first donation was to a Center for Family Health—providing cribs to low income mothers. Finding strength in numbers, other groups of women throughout the country have started their own “giving circles” and found similar successful experiences in their communities. There are now chapters of women, men, kids and people across the USA, Canada and throughout the world. We believe Southern Maine deserves our own chapter! All donations will be given to Southern Maine area charities, non-profits, or worthy causes serving the Southern Maine area only. No national charities will be considered, unless they have a local branch in the Southern Maine area. The purpose is for the contribution to stay 100% in the community. CLICK HERE to read an open letter from Karen Dunigan in 2007. CLICK HERE to see 100+ Women Who Care explained in one minute*. *The quarterly donation for the Southern Maine group is $50.